I did not want another year to go by without this wreath on my door for Thanksgiving so I finally buckled down and got to it! 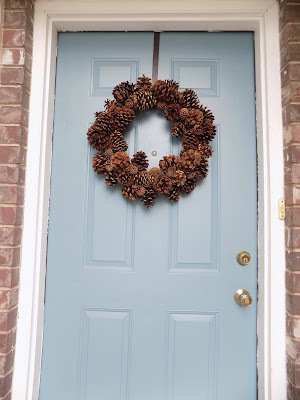 Paint your styrofoam wreath brown so that if any spots of the wreath peak through they will blend in with the pine cones. 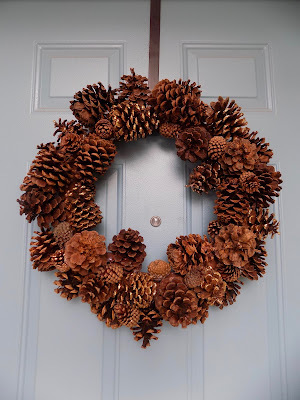 Once the wreath is dry hot glue your large pine cones onto the wreath. Fill in any open spaces with the smaller pine cones. I used plain pine cones and a few gold glitter pine cones to add some sparkle. 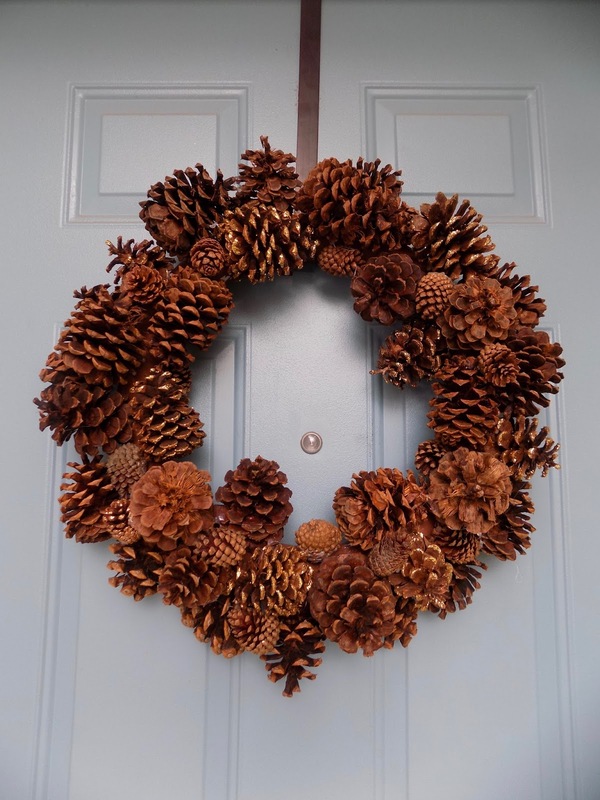 The glittered pine cones are subtle enough that they don't overpower the wreath but add a little something extra. I purchased my pine cones from Michael's but you can use them off your own tree if you have them. Play around with different sizes and add your own flare by including glitter pine cones like me or leaves, berries you name it! What projects do you have on your DIY list?